This yoruba icon is set so sign a deal with the telecoms giant worth two figures and six zeros (N25 Million naira precisely) some of you must have seen the new Etisalat advert theme song which is Olamide's "first of all" hit track. The talented star has held series of meetings with Etisalat management and if things go well he will indeed be smiling to the bank with a 3 year endorsement deal worth N25 million. 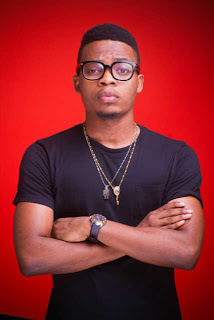 Olamide will be on billboards and all other advertorial material of Etisalat nationwide once the endorsement deal is complete. The sum of N5 million was paid to him for his "first of all" song to be used in the new advert.